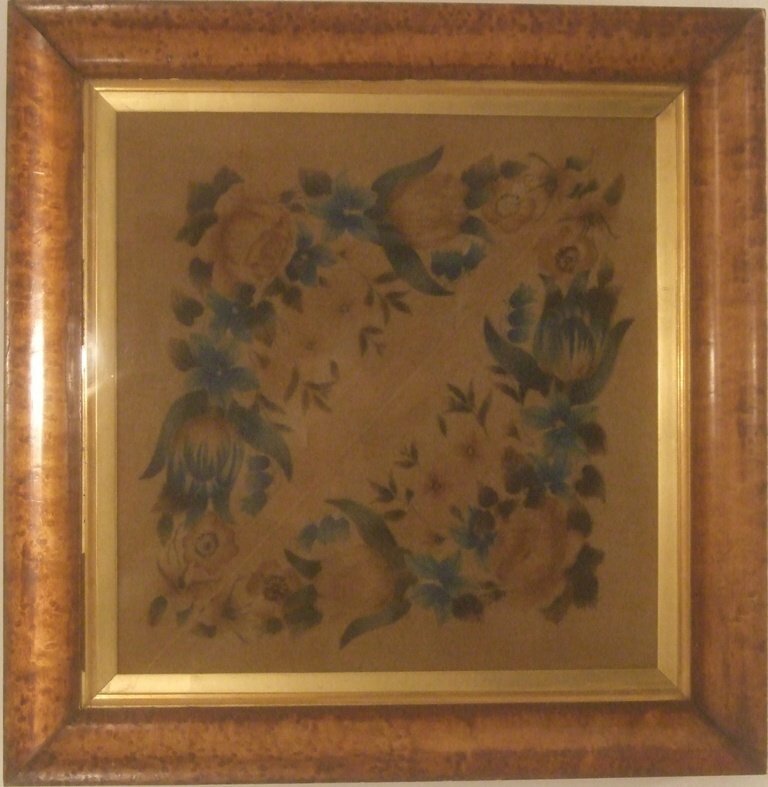 A pair of hand painted theorems depicting birds and leafy stems with flowers, in period maple frames. Uncertain of the original purpose of these square identical pieces, perhaps they they were part of larger textile? The velvet material is in excellent condition, and the colors are still fresh nad lovely, but there is some veneer loss to one frame.